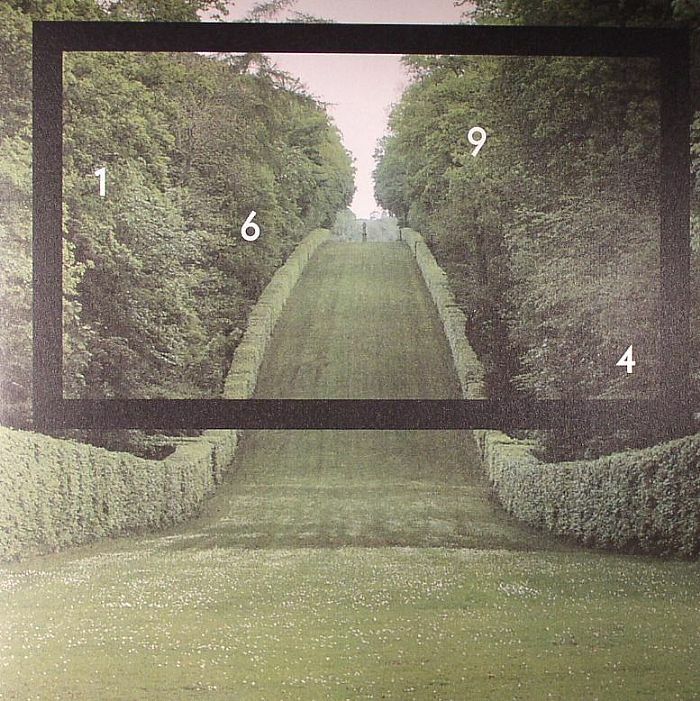 The DRAUGHTSMAN 1694 EP: How The Other Half Lives vinyl at Juno Records. 1. "Frame (An English Garden)"
1. "Frame II (The Watching Statue)"
3. "Frame III (Soft Geometry)"
London label How The Other Half Lives reach their third release and do it in impressive fashion, issuing a double 12" of material from The Draughtsman alongside some high class remixers. 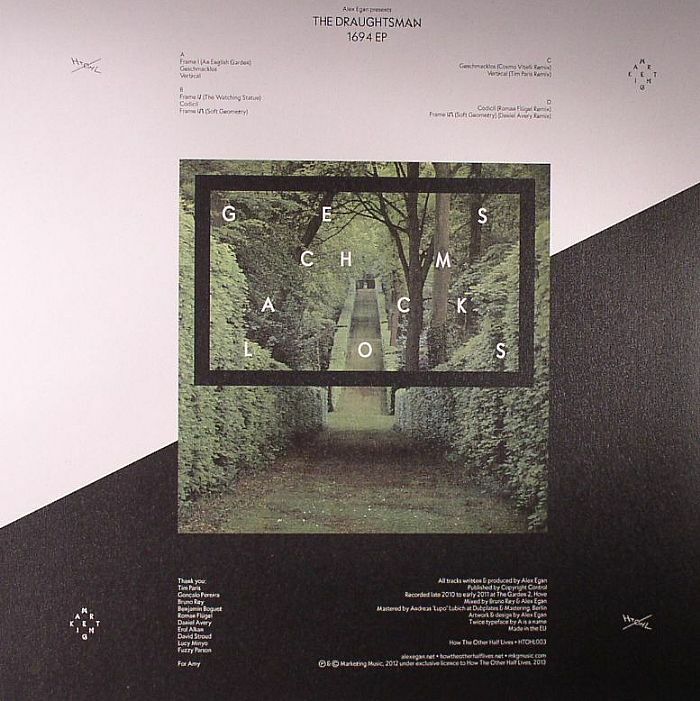 You should be familiar with The Draughtsman, the latest project of Alex Egan (Astronomer, Skull Juice) with the bulk of material here originally appearing in digital format last year on Tim Paris' Marketing Music. However Egan's a widely publicized vinyl advocate and it's great to see his music on the format, especially housed in some wonderfully designed sleeves from the producer himself. His original six track suite lines the first plate face up and face down, veering from the playful ("Geschmacklos") to the atmospheric (the triplet of "Frame" tracks). It comes backed with remixes from Cosmo Vitelli, Daniel Avery, Flugel and Tim Paris.